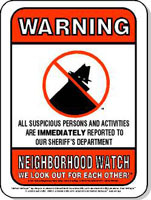 Monta Loma is a safe neighborhood, and we work with the Mountain View Police Department (MVPD) to keep it that way. Our handy tip sheet, Keeping Monta Loma Safe, is designed for you to print and post on your refrigerator. Neighborhood Watch is a program focused on ensuring that all residents are familiar with the many free services the police department provides, are aware of the basics of protecting their home and property, know their neighbors, and are familiar with the various methods for reporting problems to the police if they are a witness to or victim of a crime. We encourage all residents of Monta Loma to report any suspicious activities or unfortunate incidents that occur, because the police cannot help us unless they know what is going on. For emergencies and in-progress incidents, call 911. For non-emergencies, suspicious circumstances, or crimes that have already occurred, call 903-6395. The MVPD recommends putting this number in your cell phone, on speed dial or in favorites. The police are grateful for our participation. They see residents as essential “eyes and ears” for them, with observations not infrequently leading to the apprehension of criminals. The MVPD has a tip sheet on how to prevent or report burglaries in your home and vehicle. They welcome the reports we make and accept both phone reporting and web reporting for our convenience. They also offer advice on how to deal with door-to-door solicitors, and you can print a No Solicitation notice. The police provide a variety of services to help us ensure that our neighborhood remains peaceful and low in crime.